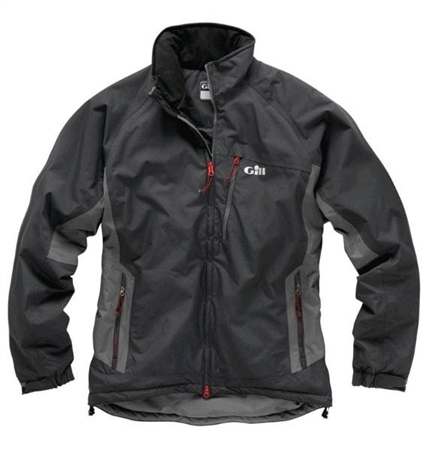 This new i5 crosswind jacket from Gill is a top notch thermal midlayer that will provide you with waterproof and windproof protection. In lighter conditions this sailing jacket can also be worn as an outer layer as the breathable fabric is fully seam taped. Warmth is provided by a compact insulation that won’t hold water and keeps its warmth, even when wet. Features -2-way front zip -External chest pocket -Two zippered hand pockets -Drawcord hem adjustment Technology -2 layer laminated waterproof fabric with a durable water repellent finish -Fully taped seams for a waterproof seal -Non-absorbent and quick-drying ultra-compact synthetic insulation which has an excellent warmth to weight ratio -100g/m² thermal insulation -Zoned insulation keeping the warmth where you need it. Great product, does exactly what Gill says it should!